The Russian Black Sea Fleet’s small missile ships Zelyony Dol and Serpukhov made three launches of Kalibr cruise missiles on Aug. 19 morning against the objectives of Jabhat al-Nusra terrorist grouping in Syria, Russia’s Defense Ministry reported. "The strikes destroyed the terrorists’ command post and base in the area of the community of Dar-Taaza, and also a factory for the production of mortar munition and a large arms depot in the province of Aleppo. According to objective control data, the planned targets were destroyed by the strikes," the Defense Ministry said. "The missiles’ fly-over corridor was planned over the deserted terrain to ensure security for civilians," the Defense Ministry said. The Russian Defense Ministry posted a video on its YouTube page showing the use of Kalibr missiles. Why does Russia need a military base in Iran? The Russian Navy’s warships were previously used on several occasions to deliver strikes with cruise missiles against the Islamic State and Jabhat al-Nusra terrorist groupings (both outlawed in Russia) in Syria. 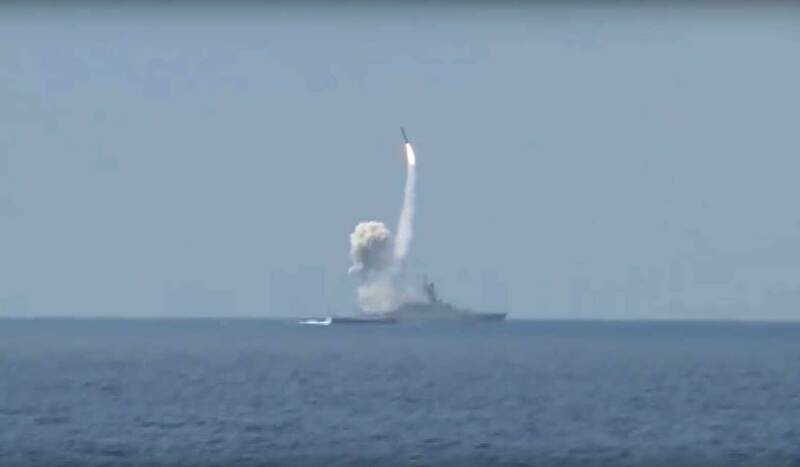 The first strike was delivered by the warships of the Caspian Flotilla in early October 2015 when a total of 26 missiles were fired against 11 terrorist facilities. In November, another strike was dealt from the Caspian Sea with 18 missiles. Also, the Russian Kalibr cruise missiles were fired for the first time from the Mediterranean Sea at the beginning of winter. The missiles were fired from the Russian advanced submarine Rostov-on-Don.